While going through his list of classmates, Janardan Subedi, 22, recalls that nearly 60-70 percent of them were working part time. These aren’t college classmates that he is talking about but school classmates. Having studied in Pashupati Mitra High School around 20 minutes walk from home, he considered it to be the norm. Subedi is wary about how prejudice works against the likes of him. In fact, he shares that he has experienced this kind of discrimination, not only with strangers but even amongst his relatives. “If they have admitted their own kids in some private school, then they have this certain attitude,” he explains. 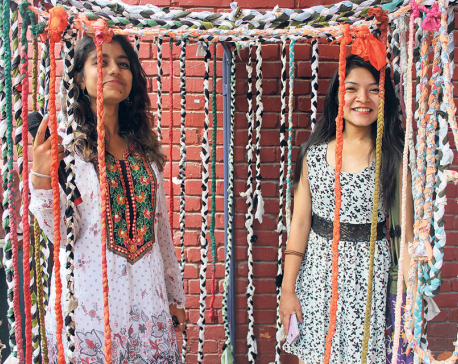 But in reality, Subedi has recently finished his Bachelor’s degree with much triumph. He made it to Pokhara University’s Dean’s list, university topper’s list and then bagged an award for academic achievement. Now he is planning to start his Master’s degree and, eventually, become an entrepreneur. At Pashupati Mitra High School’s staff room, Ghanashyam Raj Kafle, their English teacher, is still full of praise for him. He counts a couple of other alumni with awards, scholarships or work stints abroad as their successful graduates. As far as he is concerned, with sheer hard work, they have beaten the odds. The teacher believes there is no point in even trying to deny that the masses have designated two distinct kinds of education in our country, one for the rich and one for the poor. “It’s a day to day battle to fight this bias,” says Kafle and then goes on to discuss how at Pashupati Mitra High School they have been trying to improve their resources by moving on to multimedia based learning. 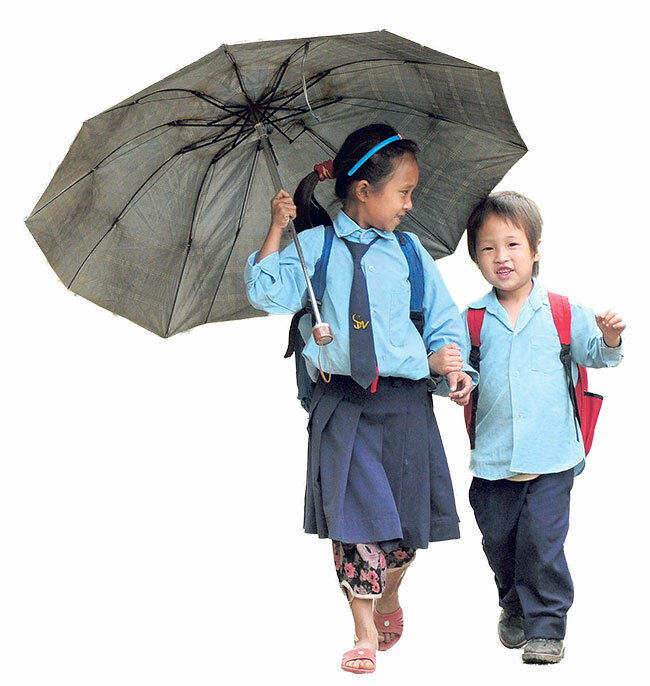 Subedi, who has made a point to keep in touch with his old school, notices these changes. However, he still warns his juniors not to slack off. “When you are a government school product, you have to put in that extra effort,” he says. According to him, the challenges come as soon as you leave school and apply for college courses. He even bets that the obstacle will pretty much be the same for every government school graduate: adapting to an English medium curriculum. This isn’t only his experience but many others’ as well. Nilam Rai, 26, for instance, remembers hesitating to take on science as a major only because she wasn’t confident with her English. Ultimately, she went for management and, today, she has completed her MBS but even this was a big decision. She calls it a nerve wrecking moment because all her other batch mates, after finishing their S.L.C exams, wanted to continue learning in Nepali medium. In the end, if one of her other friend hadn’t changed her mind and accompanied her, Rai still wonders if she would have had the guts. “Back in our days, in the Kapan community school that I went to, English classes started from class four onwards. We didn’t even officially learn the alphabets before that and even so, English was practiced in just that one class. All the other subjects were taught in Nepali,” explains Rai. She calls it one of the most formidable disadvantages of studying in government schools. After dedicating most of her college years to mastering the language, with a lot of effort and practice, she has now become comfortable with it. But as an adult, while comparing her education to college mates who studied in private schools, she confesses that she finds herself wondering about the opportunities that she might have missed out on. Her personal complaint is the way government schools don’t prioritize extra-curricular activities. Rai recalls being a very active child and participating in events with a lot of enthusiasm. But these events were rare. In fact, she remembers each one of the dance and poetry competitions her school had during her school days because they were so few and far between. Rai even considers herself lucky because a teacher from a small organization had volunteered to initiate one of those dance competition as well as start a dance club when she was in the eighth grade. Subedi too recalls how a kid who rented the same building as his family, used to talk about all these class program preparations and exciting trips that his school was organizing on a regular basis. “It’s not like we didn’t have activities but when I compare it with private schools I do feel slighted,” he says. Nevertheless when all is said and done, today, both he and Rai believe that they have, in their own ways, proved that despite the differences in the level of exposure and opportunities to build their abilities, they have been able to keep up with their peers. He shares several episodes from his time teaching at Pashupati Mitra High School. He talks of instances where students fail to do their homework because they have chores to finish. This is apparently a regular occurrence and there’s nothing he can do about it. Many students also choose to leave after lunch break. He has students who carry all the responsibilities for their family and also those hang out with troublesome crowds. Despite all this insight, the teachers can only look after them from 10am – 4pm. “The students who have done well from our schools inevitably always have a supportive and stable background. They have guidance even when they are not in school,” says Dawadi. As teachers, he and Kafle struggle to get many guardians of their community school to show interest and be concerned of their ward’s school activities. He cites the example of a recent exam. During its result day, only 15 percent of the guardians showed up, the rest said they were busy or were simply unbothered. At the same time, they also confess to the system’s lagging in certain aspects. It all goes back to the same old reasons: Lack of progressive policies and government investment, interference of political agendas and so on that also hinders the teachers’ interest and effective participation in helping further improve the quality of their students’ education. After all, they too are products of the same system and they know that there is plenty of room for improvements. Kafle remembers not being taught certain subjects because his community school’s teachers didn’t show up for months, even during his S.L.C year. This is something even Rai says she can relate to because her teachers were frequently absent. Similarly, Dawadi talks about discovering the real meaning of certain algebraic formulas only when he participated in international math training programs at the age of 25. The sad thing is that even today there seems to be no immediate resort. While private school students are given a lot of care and attention from the guardians and schools alike, students at government schools need to be self-motivated to succeed. And, given the circumstances, self-motivation is a rare thing.